At the newly opened Forte Fitness Center in Rhode Island, they understand the struggle to find the right fitness path; this path cannot only be effective in reaching member goals, but also must be one that they truly enjoy. Forte Fitness offers programs like small-group training, one-on-one personal training, and Rock Steady Boxing® program for Parkinson’s Disease which are proven methods in enabling people to feel and look great, and to achieve the best possible quality of life. 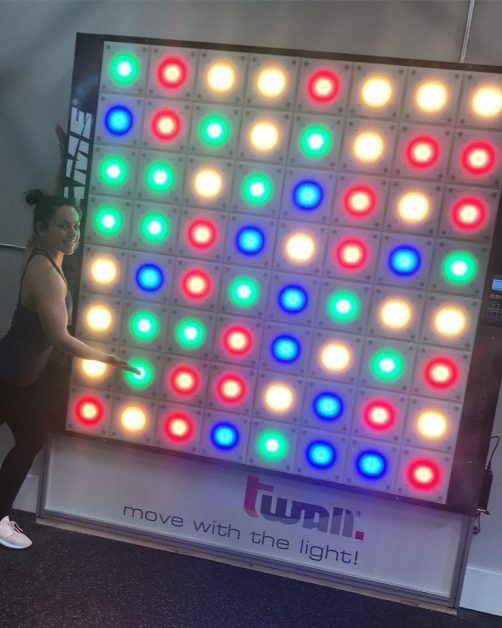 One of the products Forte Fitness recently implemented was the tWall interactive fitness wall. Whether training for power, agility, endurance, flexibility, or reaction, tWALL tests your personal limits resulting in the ultimate fitness gaming platform for any challenge. This universal training tool provides a fantastic cardio workout across numerous applications, including Exergaming, sports, fitness and rehabilitation. At Forte Fitness and their Rock Steady Boxing program they are helping to fight Parkinson’s disease by enhancing their members daily quality of life and even build impressive power, strength, flexibility and speed with the tWall. Programs like Rock Steady Boxing can have a tremendous effect on their seniors by continually challenging them with different workouts and helping them improve reaction time, speed training, balance, and overall fitness fun! Some quotes from some of the trainers at Forte Fitness Center. We have also put together a special video for Forte Fitness center to show some of the highlight of the Rock Steady Boxing program, Rock Boxing, Small Group Training, and One on One personal training. For more questions about the tWall and how it can impact your members, contact Exergame Fitness!